Below is a quick overview of the fruits and vegetables that we grow, and some information about them. About the variety: Haas avocados are a larger variety of avocado with dark green, bumpy skin that turns to a dark purple as it ripens. Nutritional Value: Avocados are an excellent source of: vitamins K, C, B5 and B6, folate and potassium. Storage: Leave at room temperature until softening occurs. At that point eat them, or stick them in the fridge to slow ripening process. You can also freeze avocados: remove peel and pit, mash and store in freezer bag with air removed. Ripening Tips: Store with apples and bananas to expedite ripening. Fun Fact: Avocados do not ripen until they are picked, making it easier to stretch their growing season. About the variety: Our Bearss limes are more yellow than green, they have a very thin rind, and are very juicy. Nutritional Value: Limes are a great source of vitamin C.
Storage: Store at room temperature. You can also juice them and store in the fridge, or freeze them. Ripening Tips: Our limes are ready to eat when they are picked! About the variety: Our lemon tree has been on the property for so long, that we don't know what variety it is! But the lemons are large in size, with a thick rind, and very juicy. Nutritional Value: Lemons are a great source or: vitamins C, A, E, B6 and vitamin B6, folate, iron, magnesium, and potassium. Ripening Tips: Our lemons are ready to eat when they are picked! 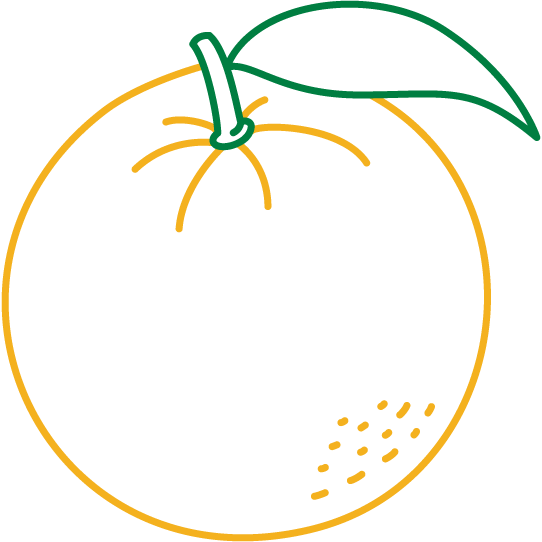 Valencia oranges are medium to large in size with a light orange peel that is typically heavily dimpled. They are a sweet orange, but can be difficult to peel. For this reason, they are very good for juicing. Nutritional Value: Oranges are an excellent source of vitamin C and are known to be good for heart health. Storage: Store at room temperature. You can also juice them and store in the fridge, or freeze them. They can also be dehyrated. Ripening Tips: Our oranges are ready to eat when they are picked! 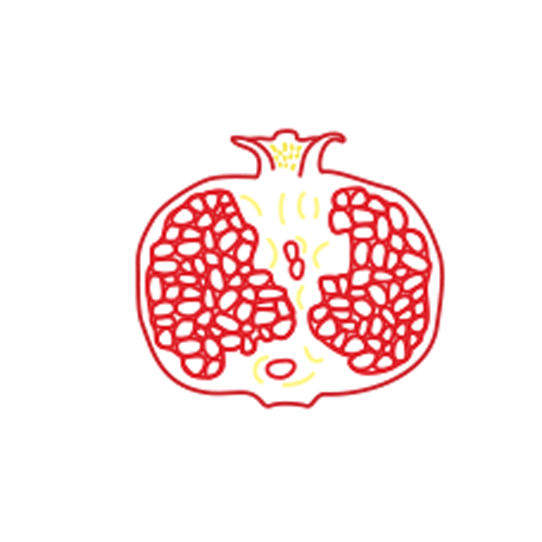 About the variety: Sienevyi are a large, soft seeded fruit, with sweet dark red seeds. flavor much like a watermelon. They are great to eat on their own, as a salad topping, or for making jelly! Nutritional Value: Pomegranates are an excellent source of fiber, vitamins B, C, K and potassium. Ripening Tips: Our pomegranates are ready to eat when they are picked!